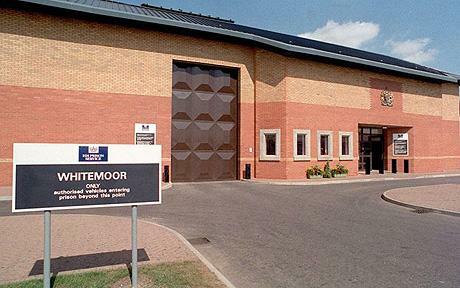 Whitemoor high security prison…Library file picture of Whitemoor Prison dated 01/05/99. Convicted IRA man Liam McCotter claimed Monday April 10th 2000 that prison officers beat him up after Republicans tried to shoot their way to freedom from the top-security jail. One prison officer was shot and wounded before the 1994 escape bid at the Cambridgeshire jail was foiled when the six men were recaptured.